Lynn Redgrave, James Villiers, Ronald Fraser et al. 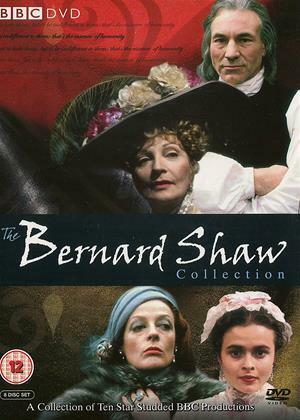 BBC adaptations of two classic plays by the Irish dramatist George Bernard Shaw. The most famous and beloved of George Bernard Shaw's plays, 'Pygmalion' is a witty exploration of class and gender. Professor Henry Higgins (James Villiers) bets his friend that they can take a poor flower girl, Eliza Doolittle (Lynn Redgrave), and pass her off as a duchess. They teach her perfect English, manners, and how to dress, like a lady, but Eliza proves to be more than a match for her tutors. George Bernard Shaw used the traditional fable of Androcles (Billy Connolly) to focus on the integrity of religious belief. Androcles, a Christian fleeing persecution in Rome, is captured by Caesar's men. Alongside other Christians - Ferrovius (Bernard Bresslaw), a fierce fighter; Lavinia (Anna Calder-Miller), a beautiful aristocrat and would-be martyr Spintho - he must face the lions of the Coliseum. How will each of them face their desperate fate?